Welcome to Small Church Tools. Our goal is to bring encouragement to America's small congregations. Be sure to click on the "Blog" tab--that is really the heart of this webpage. If you want to leave a comment, just click on the title of the article and comments will be enabled. 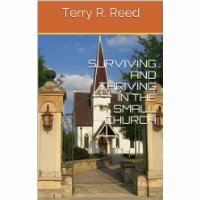 The majority of the churches in America are small in number. This does not mean they are small in spirit. A great deal of the work God accomplishes in this nation happens in small churches. This site is dedicated to encouraging and helping these congregations in their labors for the Lord. Don't forget about my new book--if you don't have a Kindle, no problem--you can download it to your computer.